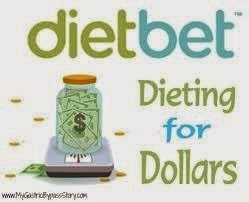 Bikini Baker: Lose Weight, Win Money with DietBet! Thanks for joining and sharing! :) Your blog looks fabulous. I need to browse now. If a skin problem does happen after weight loss, there are surgeries that will remove any excess. These are expensive, but it's worth taking a chance of having loose skin than to remain severely overweight in the long run.